Proposing measures to fight corruption and to improve governance, strengthening the transparency culture and quality of the application of public resources: these are the main objectives of the Observatório Social do Brasil (OBS), a non-governmental and non-profit institution that, in the city of Rio de Janeiro, has Domingues e Pinho Contadores (DPC) as one of the sponsoring companies of its actions. Proposing measures to fight corruption and to improve governance, strengthening the transparency culture and quality of the application of public resources: these are the main objectives of the Observatório Social do Brasil (OSB), a non-governmental and non-profit institution that, in the city of Rio de Janeiro, has Domingues e Pinho Contadores (DPC) as one of the sponsoring companies of its actions. "This initiative has been bringing important contribution to the transparency of local government agencies, and we entered into this support to the Observatório Social actions in Rio de Janeiro because we believe in the importance of this supervision work and its strength in fighting corruption", explains Manuel Domingues e Pinho, CEO of DPC. In the state capital, Observatório Social monitors the municipal administration in different ways, through verification of bidding and contracting processes, and attendance monitoring municipal councils linked to the management, health, social welfare, children, and adolescents, among others. In 2018, the organization will follow the participation in next organs to working groups such as the Union General Comptroller, the Union Accounts Court, State of Rio de Janeiro Accounts Court, Municipality Accounts Court and RFB. In addition, the OSB-Rio will promote training courses on public procurement aimed at micro and small businesses, in partnership with the Sebrae. Observatório Social do Rio is among the 22 initiatives selected in Brazil by project of Federal Public Ministry and National Strategy for Fighting Corruption and Money Laundering (Enccla). Selecting OSB-Rio is recognizing them as a pro-full agency aimed at preventing corruption. OSB, formed by civil society organizations and volunteer groups, is present in more than 100 municipalities in 19 states. The organization estimates that the work generated savings of over BRL 1.5 billion to the cities’ coffers where it has been operating in the past four years. 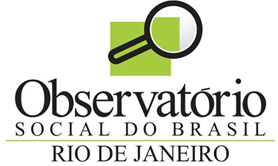 Learn about the organization's work in Rio de Janeiro: www.observatoriosocialdorio.com.br.